BUT IT APPEARS FANS WILL NOT HAVE TO WAY MUCH LONGER. Five-member boy band MBLAQ is long overdue for a comeback, but it appears fans will not have to way much longer. Since their debut in 2009, the Music Boys Live in Absolute Quality (MBLAQ) have released one full-length studio album, four EPs, and three Japanese singles. The members have also spent significant time working on solo activities and appearing in various television programs. But now, it seems they are ready to rejoin as a group and are currently preparing to make a comeback sometime within this month. It has been more than a year since MBLAQ released a new album, and youngest member, Mir, took to his Twitter recently to give fans a heads up. "Really soon we're gonna have a comeback! It's going to be so fun! Coming soon~!" He also included a picture of the MBLAQ members in a dance studio practicing some choreography, presumably for their comeback stage performances. Korean music industry insiders have also been hinting at the group's comeback over the last month and it is reported that the title single has already been decided. Supposedly MBLAQ is waiting to settle their comeback schedule before revealing any specific dates or details officially. A few days ago, MBLAQ fans were given another hint that a comeback is just around the corner. Facebook of her posing with Seungho andG.O in her Seoul studio. The caption read, "MBLAQ's Seungho and G.O are so cool~ We decided on cool clothing." Fans have taken this to mean that Kwak Hyun Joo may be the one behind the outfits for MBLAQ's highly anticipated comeback. It was also noted that Seungho was sporting a new hair color, blue. He has had a variety of hair colors and styles in the past, but such a drastic change, some fans believe, may mean that the comeback is closer than expected. 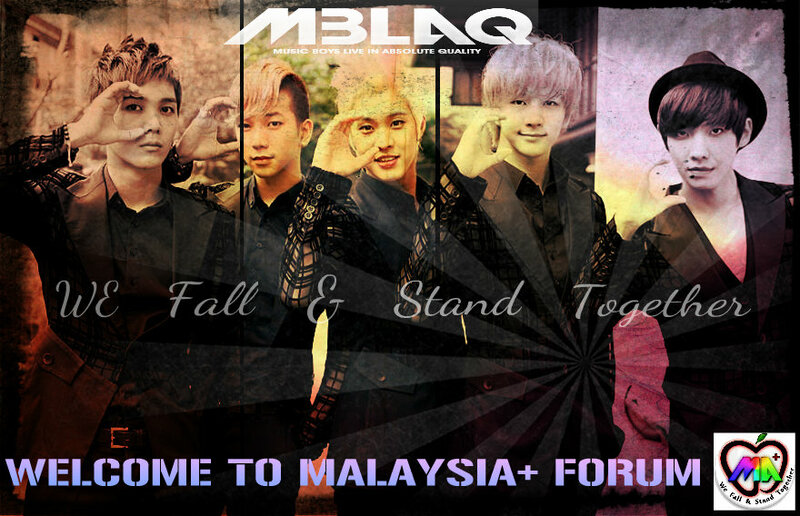 and it is said that MBLAQ will continue to focus on promotions in the country for their upcoming release as well.